As the winter holidays rush towards us, I am in the process of receiving reader feedback on the current draft of The Greatwood Portal, book 3 of The Heroes of Spira. Yes, that means the initial draft and first stage revisions are finished! I am optimistic that I will publish that next volume in the spring of 2019, though I would be foolish to promise a date before my editor gets her blood-drenched claws on it. THE CROSSER’S MAZE IS PUBLISHED! Many thanks to all of my readers and proofers (and of course my editor, Abigail Mieko Vargus) for their invaluable help. When the book comes out, I will assign one “ticket” to everyone on my e-mail list at that time. So, if you’re already on the list, or if you sign up between now and then, you’re automatically entered to win. Three winners (or pairs of winners) will be chosen by random drawing. *Winners can choose instead to get a copy of The Ventifact Colossus if they wish. Cover reveal! Here’s the gorgeous cover for The Crosser’s Maze, by the amazing Gareth Hinds. The Crosser’s Maze should be available this fall on Amazon. Want informative and infrequent updates about the books? Sign up here! I’d like to release the e-book and print book at the same time, and that means waiting for Amazon to send me a proof copy of the paper version, which I will examine in close details looking for any errors that may have emerged. If I find none, I will then hit the “launch” button and you will be able to purchase the book in…mid to late October? Probably? 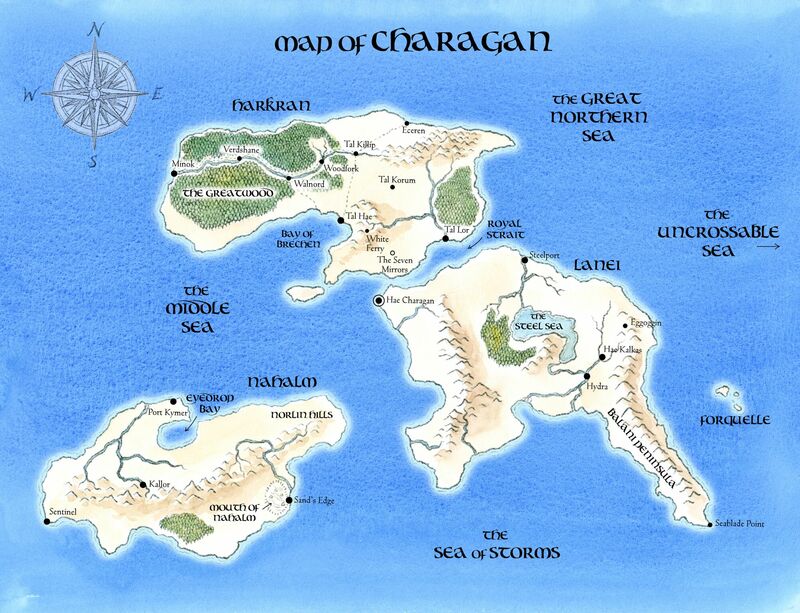 In the meantime, Gareth has drawn me some absolutely gorgeous maps of Charagan (where The Ventifact Colossus takes place) and Kivia (where [SPOILER REDACTED]). And while the maps will be in black-and-white in the published book, he drew them in color just because he’s wonderful. Gaze upon their beauty, and while you’re at it you can get a better sense of where things are relative to each other. The Crosser’s Maze (Book Two of the Heroes of Spira) is currently in the capable hands of my editor, and she estimates that in less than a month I will have a marked-up version of the manuscript in my hands. The gap between that hand-off and eventual publication will depend on how severe a thrashing she has given the latest draft, but my middle-of-the-bell-curve estimate now is a publishing date in August. In the meantime I have begun work on the initial draft off Book Three, “The Portal in the Woods,” though that is a working title only, and I suspect a better one will tap me on the shoulder with an embarrassed cough sometime before it’s finished. 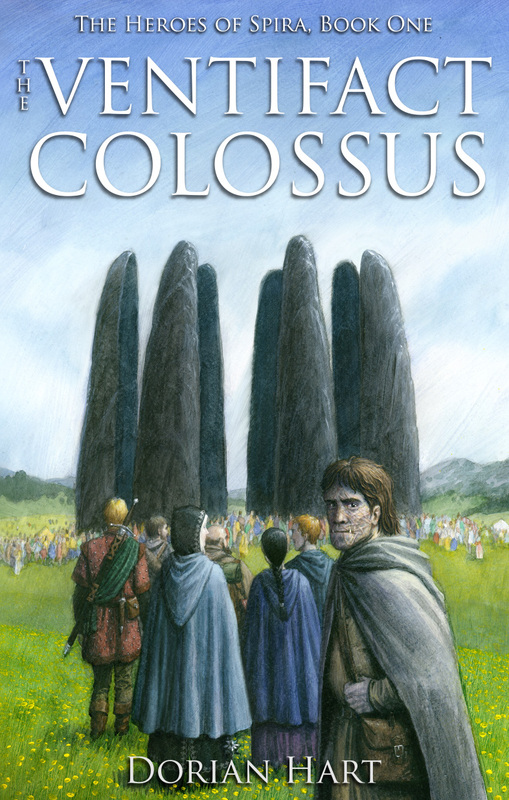 In related news, The Ventifact Colossus made it into Mark Lawrence’s latest Self-Published Fantasy Blog-Off (better known as the 2017 #SPFBO). This is not to say it was chosen for its quality; the contest simply accepted the first 300 books submitted, and I happened to notice it was happening in the four day window between its announcement and its reaching 300 entries. But it’s still cool and scary to be a part of. How it works is, ten volunteer book bloggers each get assigned a random selection of 30 books, and pick ONE of those 30 to make it to a final round. As such, my chances are quite slim even of advancing past the stage where my particular blogger reads the first 50 pages of each entry and decides which ones to summarily toss. There are a lot of high-quality self-published fantasy books out there! After that will come the proofreading, formatting, last-minute hand-wringing about that one scene in Chapter Seventeen, uploading, various technical tug-of-wars with Amazon, and finally publishing. Whew. I will keep the top of this page updated as I work my way through this process. Thanks for your patience, readers! I sincerely hope you find The Crosser’s Maze a worthy sequel to The Ventifact Colossus. “The adventure is compelling, the action gripping, the humor delightful while not undermining the seriousness of the story. In short, this book is great fun, and I offer my strongest recommendation on its behalf to anyone looking for a new series!” – Edward Aubry, author of Unhappenings and Static Mayhem. – various Amazon reviewers who I promise are not my mom. Welcome to the official page of the Heroes of Spira series! If you would like to receive e-mails on the status of The Ventifact Colossus and its sequels, click here! Your e-mail address will not be shared with anyone, and I will only use it to send you updates relevant to the books. And those will be infrequent, as I have no desire to annoy you so much that you lose interest. The books chronicle the story of a hodgepodge team of would-be heroes, as they set about to save the world from a variety of absurdly dangerous threats. If you’re a fan of fantasy epics with flawed but likable characters, daring swordplay, high magic, terrible monsters, powerful but mysterious artifacts, intriguing mysteries that will all be explained by the end of the series, and villains with excellent mustaches, then you will surely enjoy the Heroes of Spira. The first book in the series, The Ventifact Colossus, is available for purchase right now on Amazon in both print and Kindle formats. You could be reading it right now! You may be asking yourself: “Is this going to be one of those never-ending series where the author keeps tacking on more books, and doesn’t really know where the story is going? Allow me to answer that: certainly not. I already know how the whole story goes, including how it ends. Five books should do it. Maaaaaaaaybe six. But probably five. Banished to an otherworldly prison for centuries, the monstrous Emperor Naradawk is about to break free and wreak havoc upon the world of Spira. The archmage Abernathy can no longer keep Naradawk at bay, and has summoned a collection of would-be heroes to help set things right. Surely he made a mistake. These can’t be the right people. Dranko is a priest-turned-pickpocket, expelled from his church for his antics. Kibilhathur is a painfully shy craftsman who speaks to stones. Aravia is a wizard’s apprentice whose intellect is eclipsed only by her arrogance. Ernest is a terrified baker’s son. Morningstar is a priestess forbidden from daylight. Tor is a young nobleman with attention issues. Ysabel is an elderly farm woman. Grey Wolf is a hard-bitten mercenary. None of them are qualified to save the world, but they’ll have to do. Even Abernathy himself seems uncertain as to why he chose them. What starts with a simple scouting mission soon spirals into something more far-reaching and sinister. The heroes will contest with dream warriors, evil cultists, sentient gemstones, and a devious yet infuriatingly polite gentleman with a perfect mustache, on their way to a desperate encounter with the unstoppable: The Ventifact Colossus. The Ventifact Colossus is Book One of The Heroes of Spira. Dorian Hart graduated from Wesleyan University with a degree in creative writing. This led circuitously to a 20-year career as a video game designer, where he contributed to many award-winning titles including Thief, System Shock, System Shock 2 and BioShock. 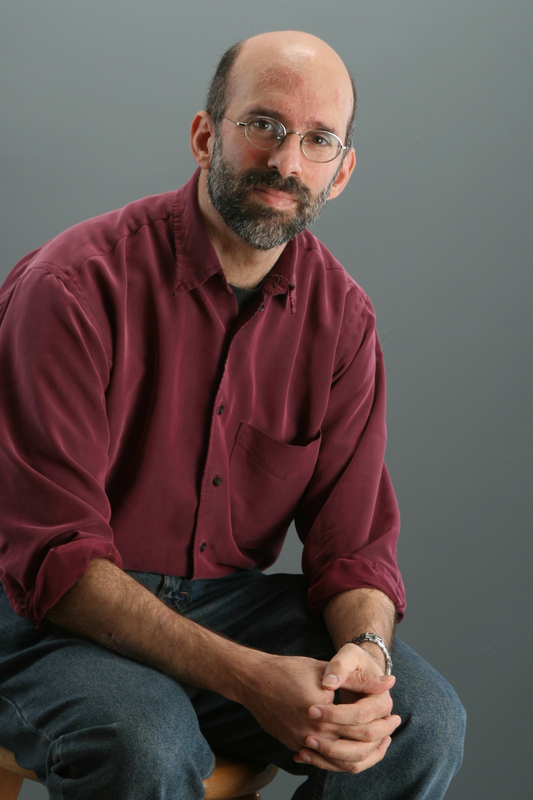 He is also the author of the interactive novella Choice of the Star Captain. Dorian now lives in the Boston area with his fantastic wife and two clever daughters. When not serving as house chef and chauffeur, he works on the kinds of novels he’s been itching to write since he was ten years old. Beautiful maps! Sagiro, two questions for you. One, have any of the place names been changed for this map from your original campaign – Steelport for example? Two, have the locations changed at all (such as Eggomoggin – I had the impression it and Hae Kalkas were on Nahalm…perhaps that is just my faulty memory). Greetings, anonymous commenter! Yes, I’ve changed several place names from their originals: Dingman’s Ferry became White Ferry, Calnis became Tal Killip, Eggemoggin became Eggoggin. There might be others. 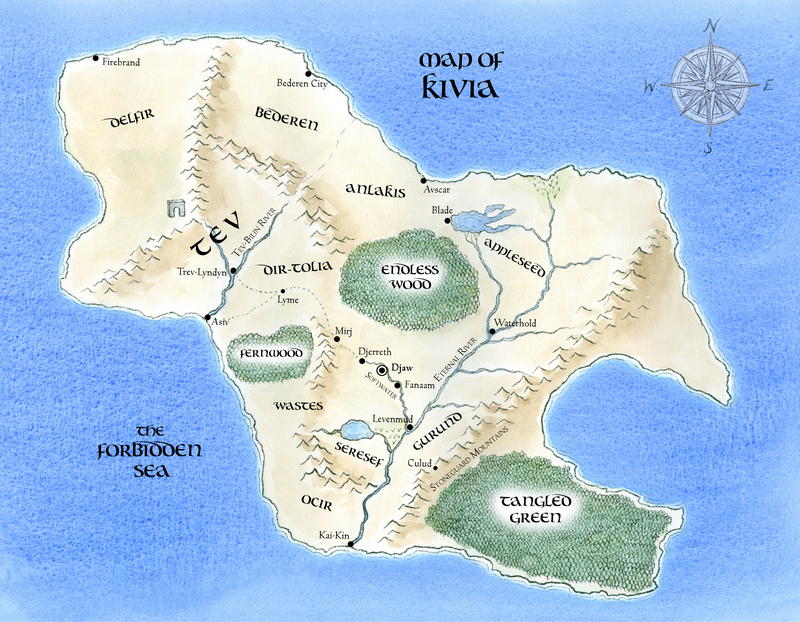 I don’t think any cities or towns changed continents, though I did get rid of some island chains I don’t see being used in the books. Thanks for the reply! Looking forward to the Crosser’s Maze novel. It was one of my favourite sections in the original Story Hour. Speaking of which, I had the impression that Hae Kalkas and Eggemoggin were on Nahalm, not Lanei.